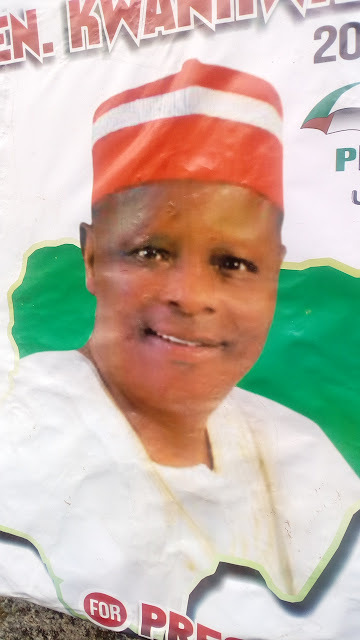 Former Kano State Governor and serving Nigerian Senator, Rabiu Kwankwaso says politicians are responsible for the deterioration of peace in Plateau State. According to him, the failure of politicians especially those in leadership position to prioritize peace, unity and development in their programmes has given the state a bad image in recent years. Kwankwaso on Thursday at the Peoples Democratic Party (PDP) Secretariat in Jos, Central Nigeria said proper articulation of the diversities in the state and the natural endowments therein for meaningful development is central to the advancement of peace therein. "Plateau is a blessed State," he said calling on religious and traditional leaders to preach the values of peaceful coexistence for collective growth. Declaring his intention to run for the office of the President in the country's 2019 elections, the National Assembly member pledged to use his experience in politics, to harness the diversities in the country for socioeconomic development. He swore to prioritize peace and security, putting a stop to "herdsmen/farmers conflicts", religious violence and all forms of criminality in the country if elected. He equally assured of keen attention to educational development and infrastructural transformation of the country.